1. I'm not sure I understand this "next to" location. It is just below editor tabs? Or it is empty space in tabs row? is good parameter for setLocationRelativeTo(), isn't it? All with the same result. The green area is where i'd like to display the dialog instead. The yellow area is where i'd like to position my JBPopup. 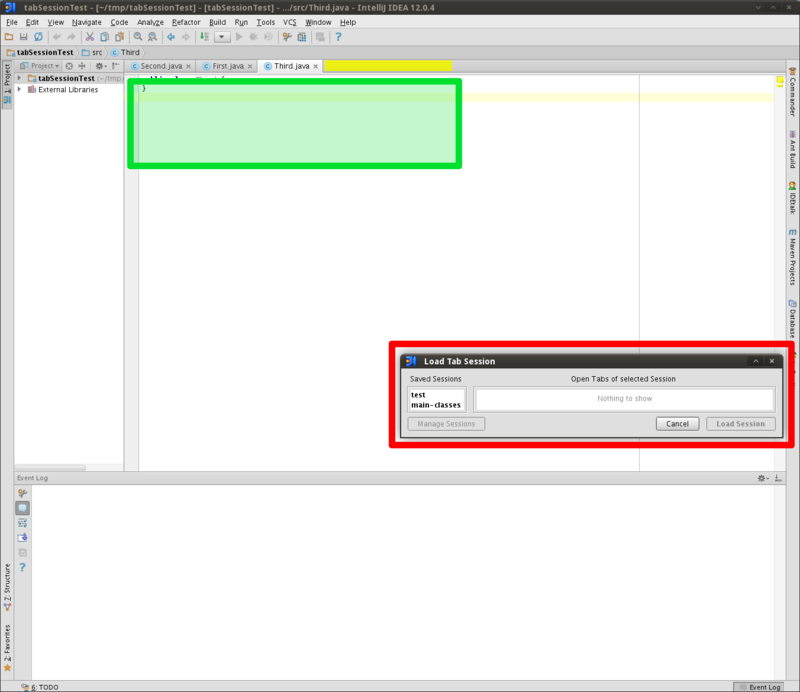 Also, i'd like to know how to center a dialog in the whole IDE window. Try call dialog.pack() and then setLocationRelativeTo(). Top left corner is exactly in the center of screen. Ok, what about the green and yellow positions? AFAIK there is no API for green and yellow positions.